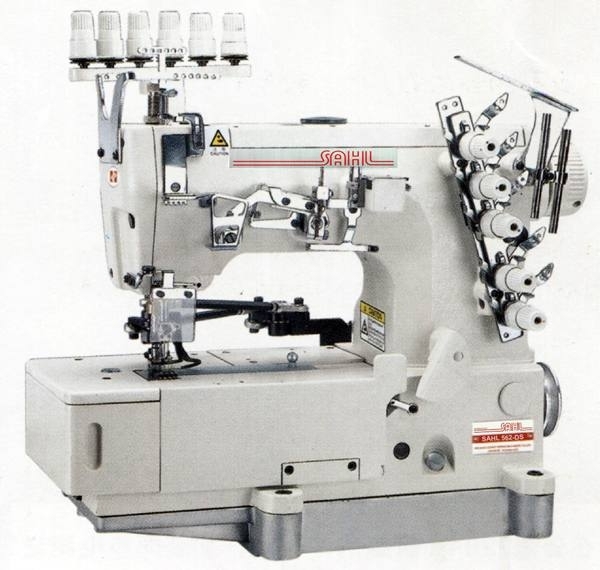 THIS MACHINE IS ECNOMIC AND MULTI-FUNCTIONAL,WITH GENERAL PLAIN SEWING,TAPE BINDING,AND COVER SEAMING. SR562-01CB/PUT(Direct-drive flat bed pneumatic auto trimmer)AUTOMATIC PRESSER-FOOT LIFTING.AUTOMATIC TOP & UNDER THREAD TRIMMING,LOW INVESTMET,BUT OBVIOUS RETURN OF AN ENHANCED PRODUCTIVE-EFFCIENCY. 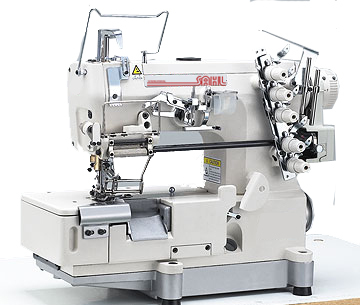 VARIOUS PATTERN CAMS ARE AVAILABLE FOR DIFFERENT SEAMING DEMANDS,WHICH OFFER 15 DIFFERENT KINDS OF DECORATION SEAMS.LTI 'S A SUPERIOR PATTERN INTERLOCK SEWING MACHINE. SR664-35BB/PUT( Left-side cutter pneumatic auto-trimmer ) SUITABLE FOR HEMMING BOTTOMS OF TUBULAR GOODS, SUCH AS T-SHIRTS,POLO SHIRT,AND ETC(thin&medium-thick fabrics). SUITABLE FOR HEMMING BOTTOMS OF TUBULAR GOODS, SUCH AS T-SHIRTS,POLO SHIRT,AND ETC(thin&medium-thickfabrics).